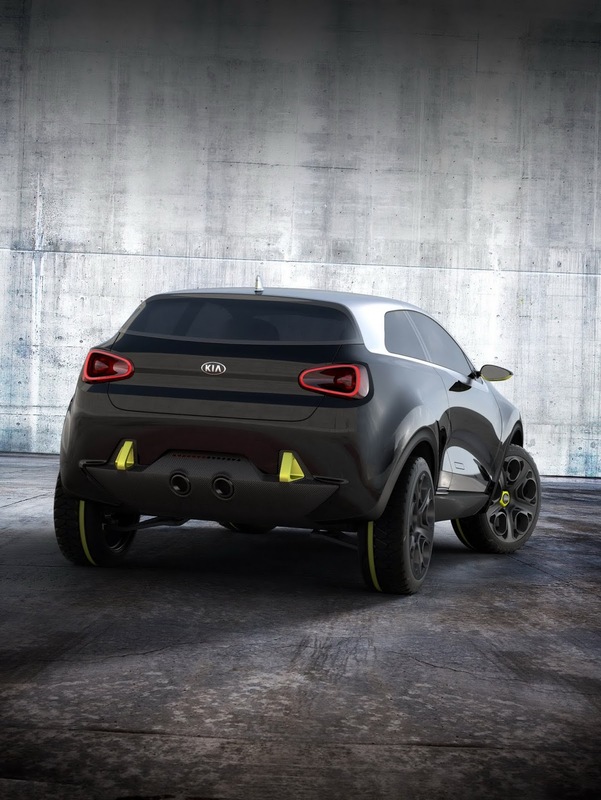 Playful but gutsy, sturdy yet impish - Kia's dramatic new Niro urban-lifestyle concept, unveiled at the IAA in Frankfurt on 10 September, hints at a possible future B-segment contender ready to take on the city environment with style and tenacity. 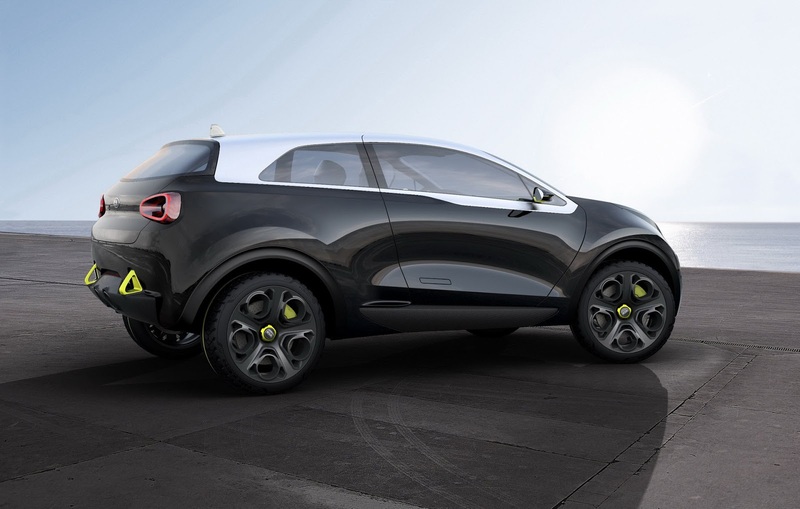 Ready for any challenge that the assured modern motorist may throw at it, the Niro combines a mischievous character in a clearly robust and substantial yet stylish bodyshape featuring a mix of contrasting materials in compact, purposeful dimensions. 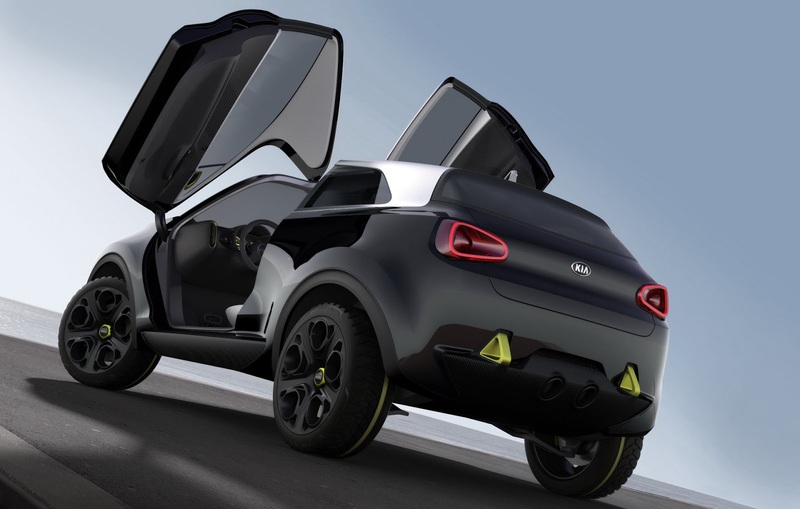 Born out of Kia's determination to seek new compact-car options for the individualistic and demanding driver for whom size is an issue, the concept features intriguing elements not always associated with smaller cars and has been created in Europe at Kia's Frankfurt Design Studio with European tastes and expectations very much in mind. 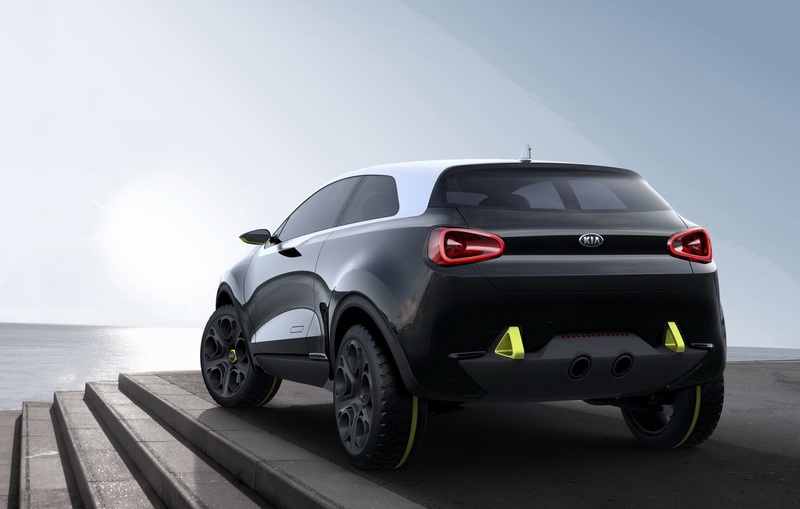 Niro looks to bring an almost counter-4x4 image to the smaller B-segment. Niro has the solidity and style of a solid-cast titanium watch case yet displays a nimble stance that hints at a readiness for action promising protection and capability. Gregory Guillaume, Chief Designer at Kia's Frankfurt office - who led the concept team - said: "Ten years ago people wanted understated style in the SUV market, but increasingly as more people migrate to the B-segment they are looking for strong character and individuality. 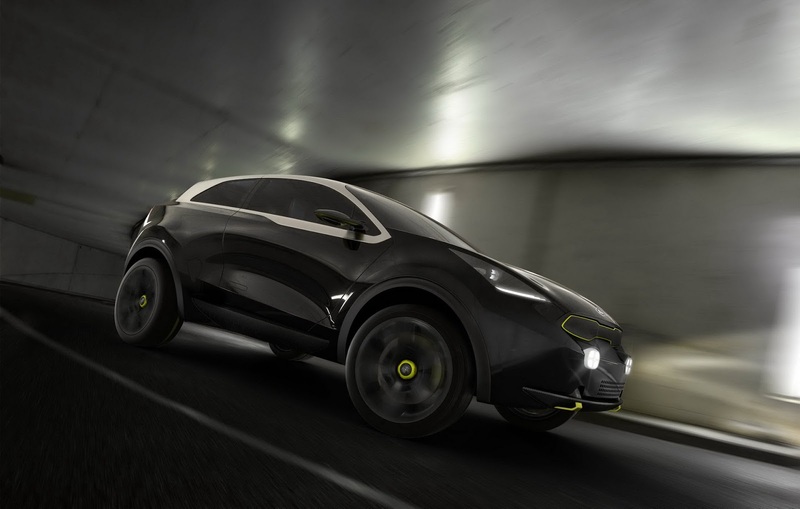 "We believe Niro is cheekier and even sleeker to show a clear spirited and intrepid character - a car that has the tenacity to deal with any challenge that comes its way," he added. But Niro is no purely functional mud-plugger! Instead its muscular and resolute style will meet the needs of owners who insist on being where the action is and are excited at the prospect of getting down and dirty! "It may have the looks of a Dakar contender but Niro has a strong premium feel thanks to contrasting advanced modern materials that mix brawn with spirit to deliver a playful vehicle ready to be part of an active lifestyle," Guillaume commented further. Although Niro has been created to deliver a sturdy and muscular outline, it has relatively compact dimensions on an all-new platform that will form the basis of future B-segment products from Kia. 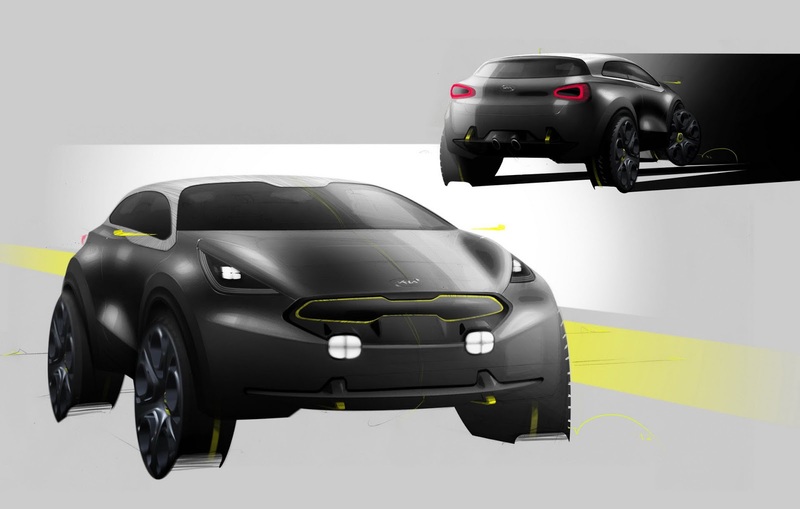 The design team started with an aim of creating a clearly muscular and purposeful outline and the startling two-tone exterior look is enhanced by its wheel-at-each-corner stance but in the urban battleground its 4,185cm overall length, 1,850cm width and 1,558cm height place it firmly in the city-car bracket. The menacingly dark "Nightfall" coloured exterior is sharply and attractively offset by a brushed, stainless steel roof. 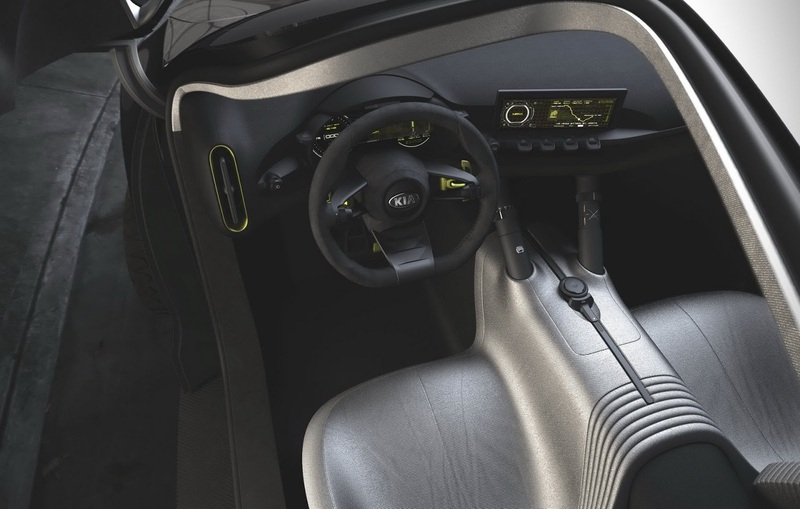 Enveloping the entire cabin, this two-finish construction gives a unique and strongly technological edge to Niro's appearance. 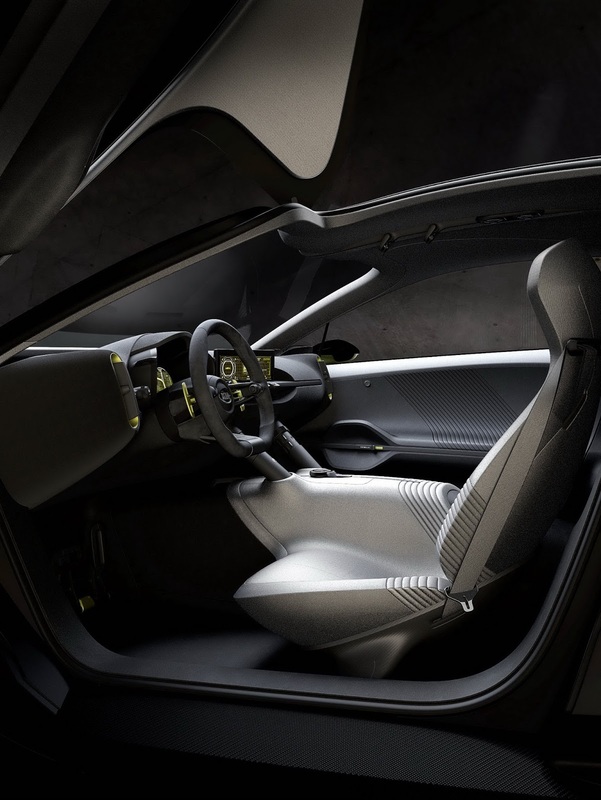 Also adding a feel that the car is virtually bursting out of its skin are running-board type "blades" above the lower side-sills - echoed by similar creases in the front and rear lower valances. Adding to the concept's chunky nature a 2,590cm wheelbase and 1,630cm track ensure it is firmly planted on the road and provides plenty of internal space. The signature "tiger-nose" grille outline, front and rear towing hooks, bonnet-located air outlet and other elements are highlighted in anodised "Limelight" aluminium. With a low cabin glasshouse and a deliberately angled front valance the Niro has an assertive and purposeful outline. 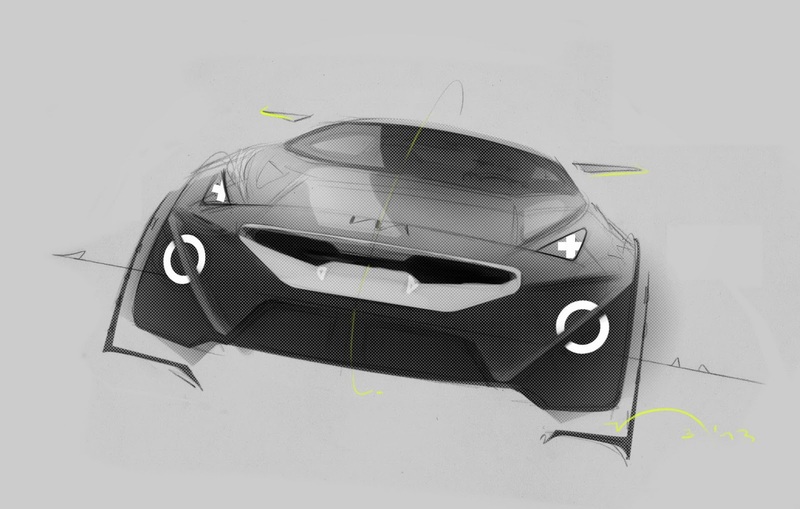 The front valance also features an asymmetric arrangement of air vent holes that was seen on the Provo concept in Geneva. The aggressive front look is enhanced by an ice-cube light arrangement providing dip and main beam lights, strip daytime running lights around the edge of the lighting housing and also built-in quartered spot lights. 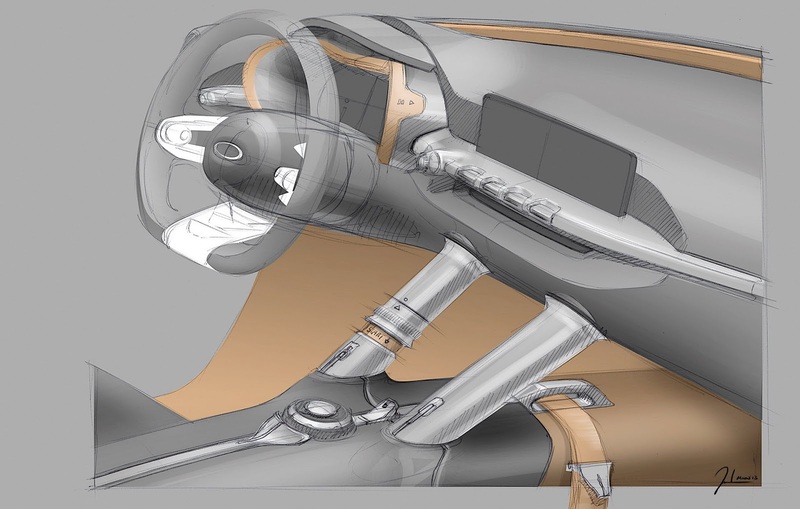 Entry is by dihedral "butterfly" doors that open into the roof panel and swing up high and with low-set flush handles. Mounted directly onto the side windows are milled "Plexiglas" door mirrors with in-built downward-facing cameras. At the rear, as well as a rearward-facing video camera the functional tailgate has a secret in store. 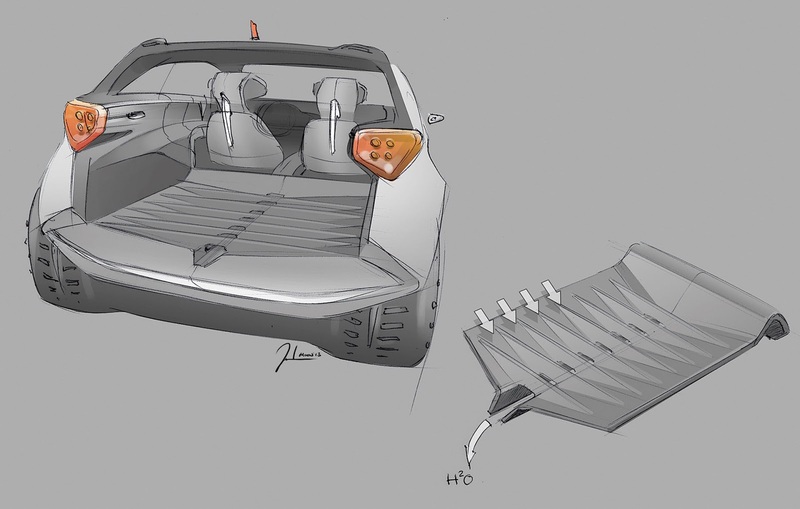 Part of the rear light cluster swings up as an essential element of the hatch architecture to give good light and visibility into the cargo space, leaving behind the secondary section of the cluster to ensure safety by ensuring other road users can still see the car in the dark. The hatch opens onto a huge carbon-fibre clad cargo deck ready to swallow the equipment and gadgets the driver and passenger may need or for a suite of luggage if the destination is up-town rather than out-of-town! 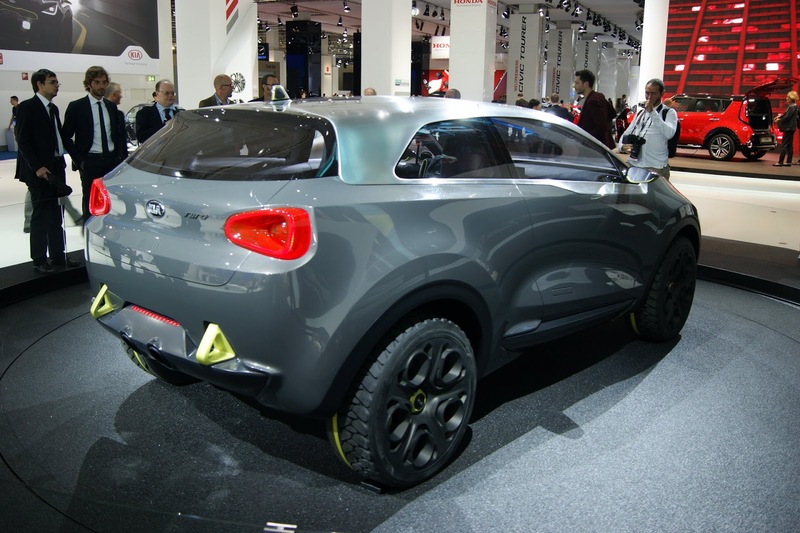 The Niro's sturdy look is completed by special 225/40R20 tyres mounted on milled aluminium 20-inch five-spoke wheels. 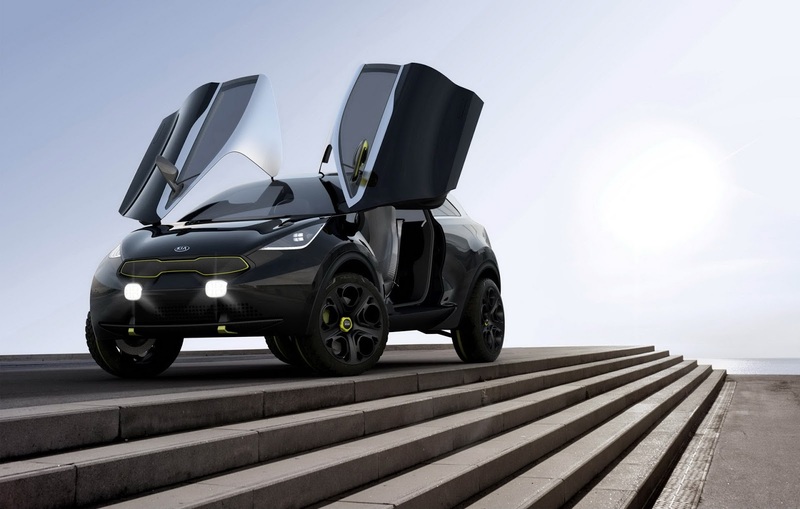 Niro may be a designers' eye view of a future B-segment contender, but that doesn't mean it is a pure flight of fancy. 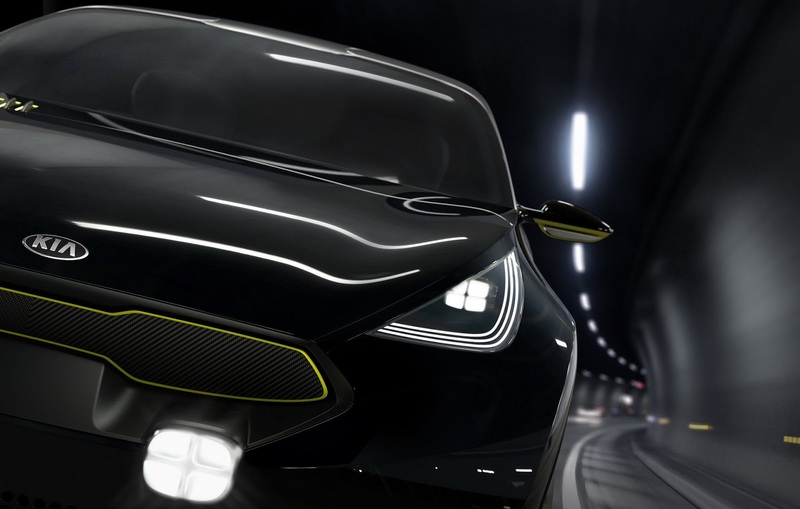 Guillaume commented: "Right from the start, this particular B-segment project was about looking at where Kia might take its contenders in this part of the market. 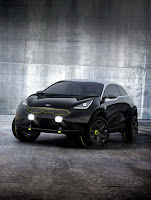 This is a growing sector in Europe and Niro is just as much about our thinking for the future as Provo was." 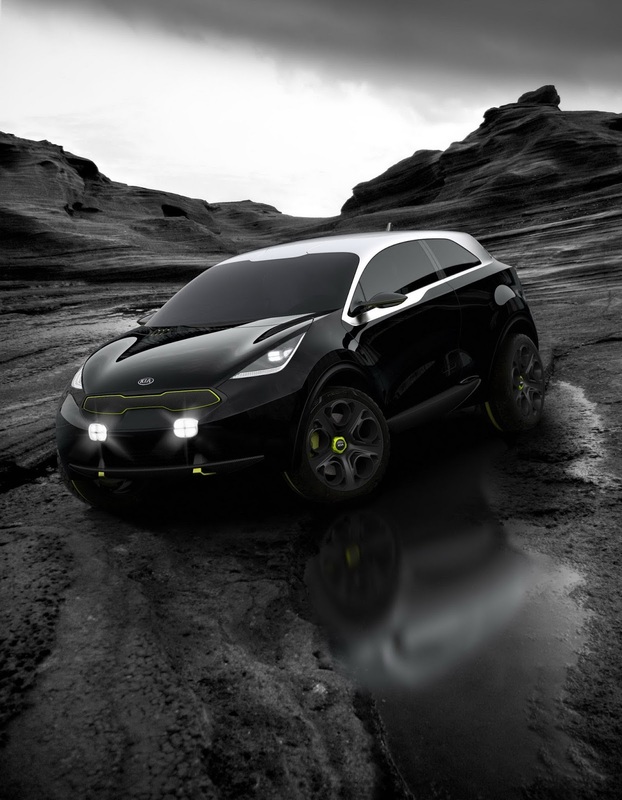 With that in mind, Niro comes with a variant of Kia's turbocharged 1.6-litre ‘Gamma' engine, developing 160ps. In Niro the engine and seven-speed, dual-clutch transmission serve only the front wheels but an electric-hybrid system, powered from regenerative braking, delivers up to 45ps to the rear wheels - when road conditions require extra grip. Continuing Niro's robust nature but combining that clear purpose with emphatic style, the interior has clearly not been designed with spartan outdoors activities in mind. Guillaume said: "Going anywhere doesn't mean going without style! 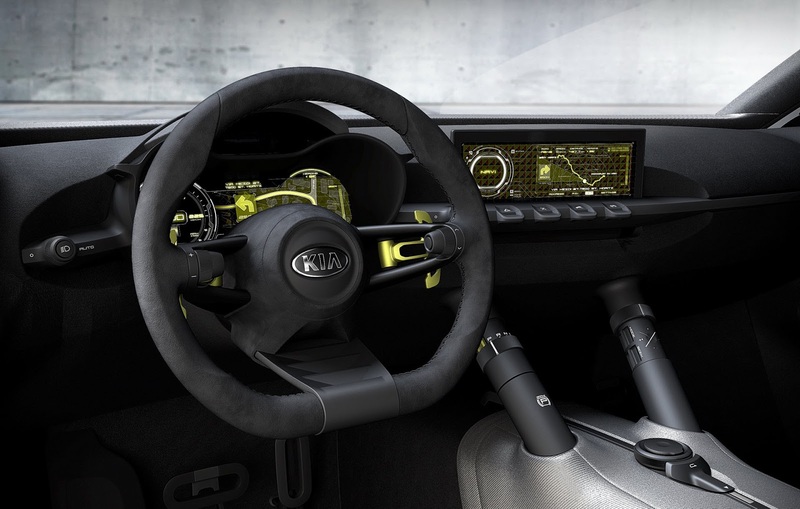 And Niro delivers a very up-market interior. But as a 2+2 with the flexibility of a large cargo deck it is clearly also ready for any purpose." Easy access is ensured by the butterfly doors being cut into that shimmering roof and the cabin layout has solidity and volume providing a substantial feeling and is dotted with luxury touches and materials. Niro's interior echoes the one-piece moulded front seats seen in Provo but here, covered in a techno-look "Orbit Silver" line-quilted textile. The clam-shell seat-backs tilt to allow access to a two-seat 50-50 split bench. 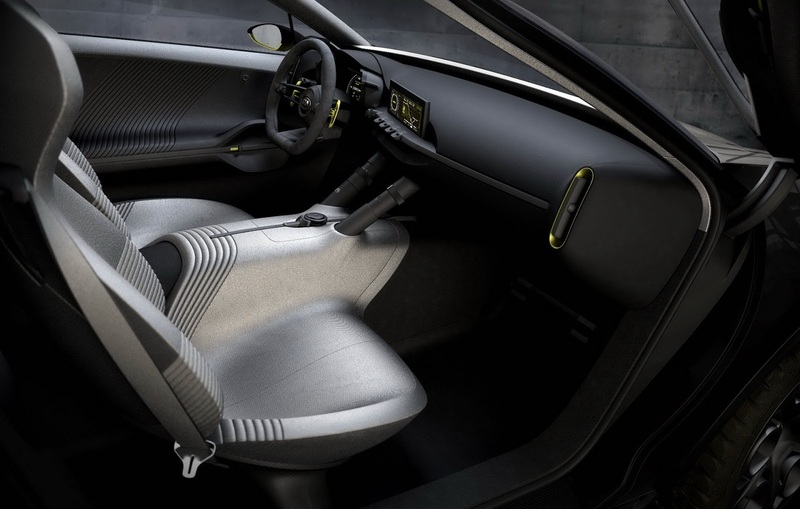 These occasional-use seats means Niro's owners can accommodate passengers both when folded flat they form the front edge of that full-length carbon fibre load area allowing plenty of space for luggage, equipment or cargo - depending on the destination! Extensive use of "Volcano Black" leather on the front dashboard and binnacle coupled with switchgear and other elements finished in either anodised black or "Limelight" aluminium give a cosseting and quality feel to the cabin. A perfect seating position is delivered thanks to the fully adjustable pedal box and the deep-dished aluminium and leather steering wheel. Ahead of the driver is a super-vision digital instrument binnacle that can be formatted and switched to provide appropriate information. It features all the main instruments but additional information is displayed on a centre console-mounted screen. This screen also allows the active owner to see and record live pictures from the video cameras mounted at the front and rear, in the door mirrors and elsewhere in the car. The centre screen can also display altitude, vehicle attitude, compass and entertainment information, Bluetooth functions as well as mapping and satellite navigation - with directional commands relayed onto the main binnacle. Small "winglets" on the binnacle handle main switching functions including direction indicators and camera displays. 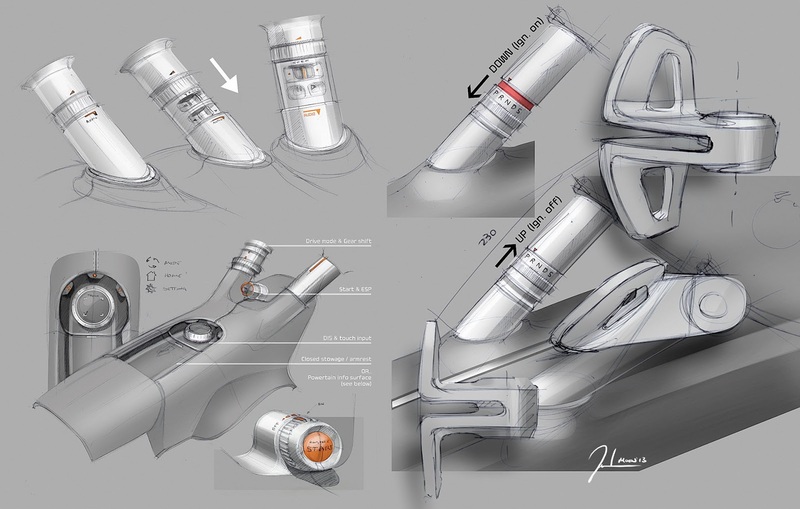 Rising up between the transmission tunnel and the main dashboard structure are two anodised aluminium columns. On first appearance they look to be simply strengthening struts - but the merest touch on the left-hand strut reveals additional functions. The engine Start-Stop button is located here as well as the main transmission drive control. Additional touch-sensitive panels allow control of the in-car entertainment and computer functions on the centre screen. A ring on the right hand strut handles volume controls. Guillaume suggests that Niro could be close to on-road reality - if the public wants it! 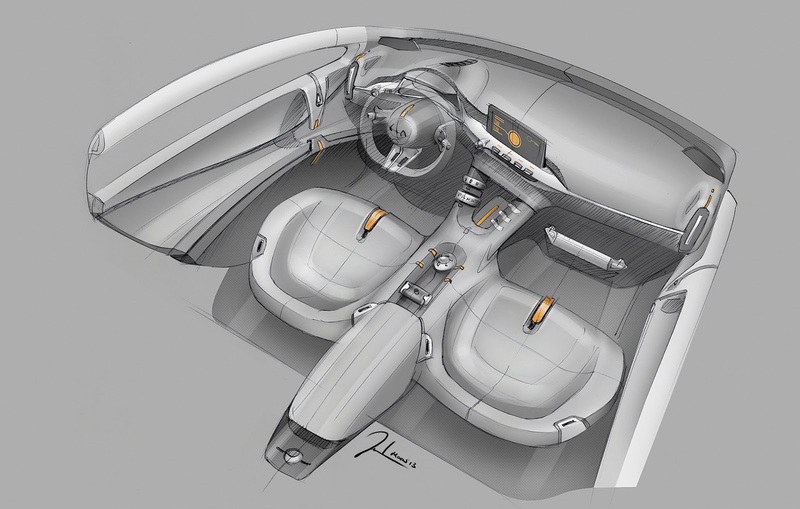 "As designers we have to look at what the future could hold, not just what is probable, and we believe drivers want excitement and new solutions from their vehicles," he commented. "It is clear that the B-segment is growing as European motorists seek to downsize but it is equally clear that they refuse to give up individuality and distinctiveness - so Niro explores one avenue to satisfy that desire. "We would love nothing more than to see all of our concept designs on the streets of Frankfurt or London or Paris tomorrow. As Kia looks to add to its range of small cars for this future European market you have to look at where the market opportunities exist and how we can exploit them. Perhaps Niro answers that challenge" he added. 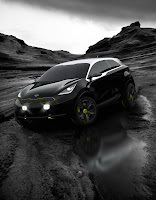 Currently Kia Motors has not made final decisions on future B-segment products and there are no plans for Niro to go into commercial production in the immediate future - but the Niro's appearance at the IAA will be used to gauge public opinion and possible demand. 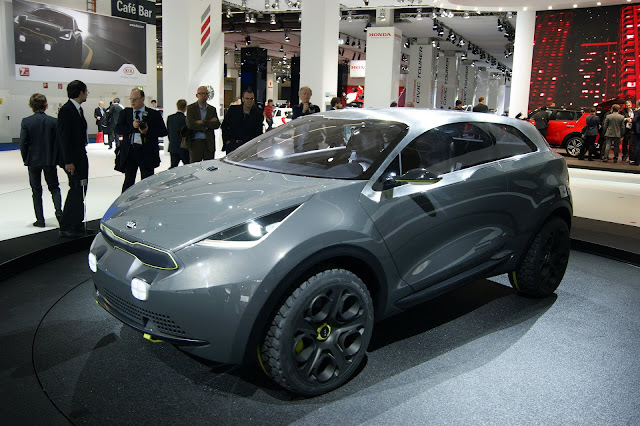 0 Responses to "KIA NIRO : Urban lifestyle concept"